Riverdale has upgraded Casey Cott to series regular and Charles Melton is Reggie for Riverdale Season 2. TV Line reported two big pieces of Riverdale news today! First off, Casey Cott, who appeared in almost all if not all of Riverdale Season 1 as Kevin Keller, is officially a series regular for Season 2. It’ll be nice to see Kevin as part of the promotional posters and such! Even if his dad, Sheriff Keller, is the secret killer behind Riverdale and is also the Black Hood. (Kidding. Maybe.) Kevin Keller is one of the most successful new characters introduced to the comics in recent decades and fans really seemed to enjoy Casey’s take on the role in the first season. Secondly, the show has found their new Reggie. 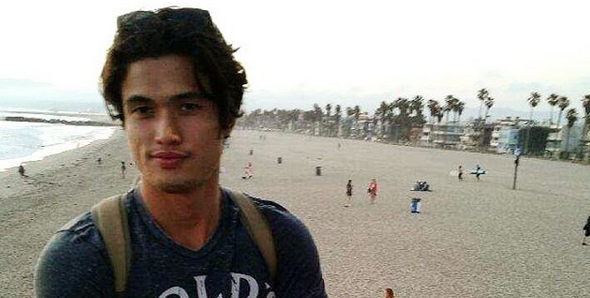 Replacing Ross Butler as “Archie’s Rival” in a recurring role is Charles Melton (seen above), who has already gotten the thumbs-up from his predecessor. Butler had to leave the show in favor of Season 2 of 13 Reasons Why. Melton’s previous credits include American Horror Story: Hotel and Glee. Riverdale’s first season is over, but you can hear us on Archie Digest: A Riverdale Podcast all summer.